Professor Wareing joins LSBU from Buckinghamshire New University where she has been Pro Vice-Chancellor Learning and Teaching since November 2012, with a portfolio for covering issues that will be core to her brief at LSBU including Learning and Teaching, Student Services, and Curriculum Quality. As part of her role at LSBU she will lead on the development of the University's innovative learning pathway which focuses on the use of blended learning and skills based curricula to develop students employability and aspiration. Professor Wareing said: "I'm delighted to join LSBU at a time when the university is focused on ensuring each graduate receives a personalised and high-quality education which equips them for employment. I look forward to working with my new colleagues to meet the high expectations of our students to enhance their confidence and aspiration through professional development." LSBU Vice-Chancellor Professor David Phoenix commented "Professor Wareing brings with her a deep understanding and passion for innovation in education combined with an enviable track record of making a difference to student engagement. We are looking forward to welcoming her to LSBU. "Given our commitment to ensuring a high caliber academic environment, it is pleasing to see we now have two National Teaching Fellows on our executive group providing clear evidence of support for teaching alongside our investment in research and enterprise." 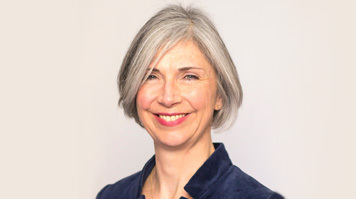 Professor Wareing holds degrees in English Language and Literature from Oxford University, in linguistics, gender and education from Strathclyde University, and in Higher Education Studies from the Institute of Education, London University. She has worked in pre-92 and post-92 universities in England and Wales, taught English for Academic Purposes in Japan and was a visiting professor in linguistics at Michigan State University, USA. She is a past Co-Chair of the Staff and Educational Development Association (SEDA), was a member of the 2014 English Subject Benchmark Review Group, is a Principal Fellow of the Higher Education Academy, a National Teaching Fellow, and a Fellow of the Leadership Foundation".